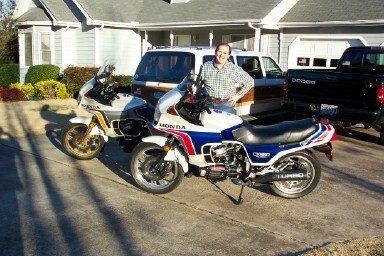 This is a picture of John Marrs showing off his two CX Turbo's at his place in Georgia. 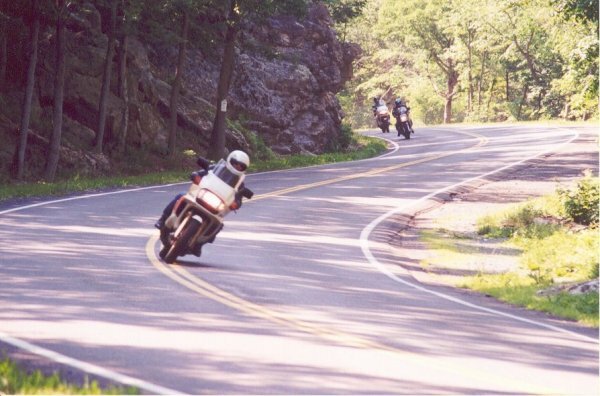 This picture of John running his CX 500 Turbo through the twisties was taken during the 2001 Rally XII in Staunton, VA.
Another picture of John Marrs at the top of Pikes Peak wearing some truely fashionable riding gear. 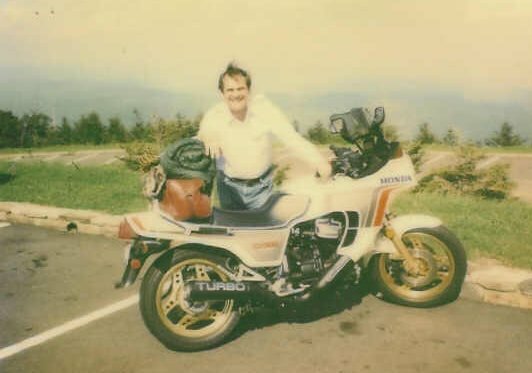 Except for the lack of a turbocharged motorcycle a truely great picture! 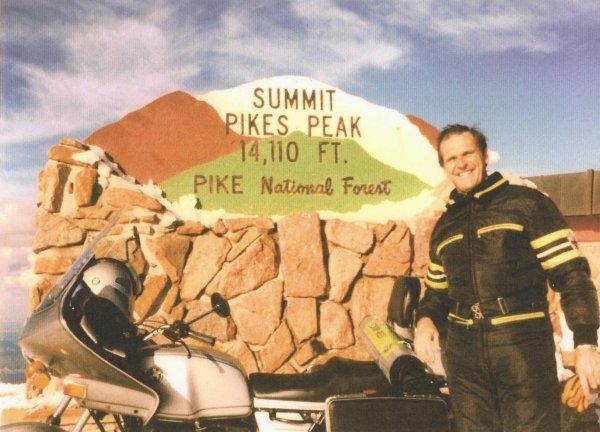 This picture was taken at 14,264 plus or minus a few feet at Mount Evans CO the highest paved road in the world and I am on the 500T. The computer did NOT understand the altitude and it ran fine going up. 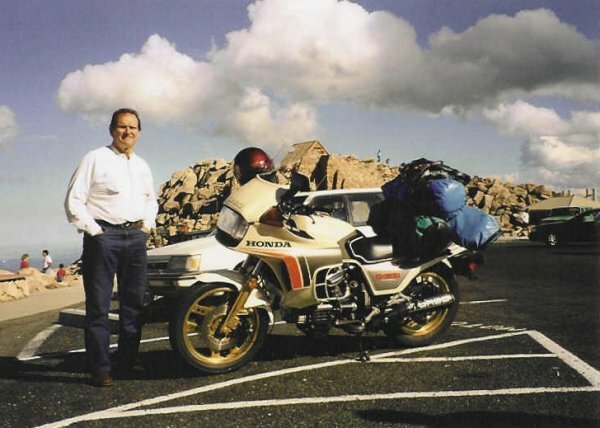 I thought I would have to "push" it to below 9,000 feet it ran so poorly going down, The computer finally reset for me and it ran properly the rest of the trip altho with the fuel lite on a lot at high altitude.